Nouveau Stade de Bordeaux 08.06.2016: Participants of the 2016 European Championship in France will have the chance to play at a brand new stadium in Bordeaux, which has a capacity of 42,000 and is called Nouveau Stade, “the New Stadium”. The stadium with a unique design has been the home ground of the local team, Girondins, since May 2015. It was built mainly to provide venue for EURO 2016 and the draws will show which teams will play there. The old stadium, Stade Chaban Delmas, which had a capacity of 34,000 and was built in 1924, did not meet UEFA requirements for a Euro venue. The construction of the Girondins’ new home took more than thirty months, from November 2012 to April 2015, and cost 183 million EUR, which is about 5 billion CZK! The stadium is located about 8 km north of the old Stade Chaban Delmas, which is basically in the centre of Bordeaux, a city with a population of 250,000. 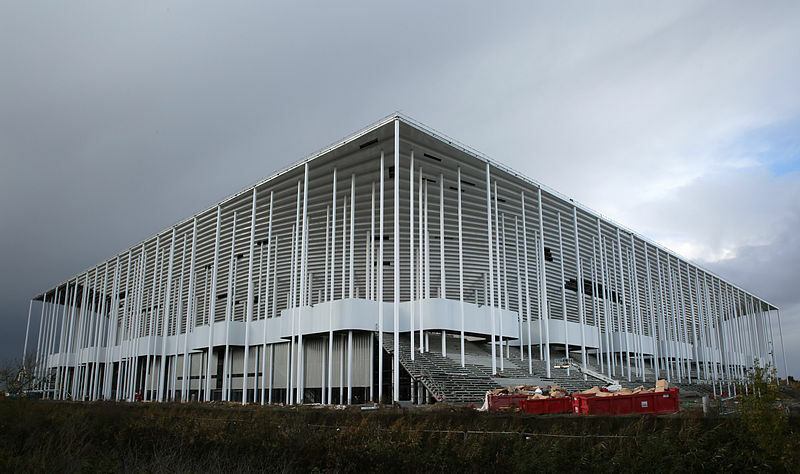 Girondins Bourdeaux moved to their new home ground before the last match of the 2014/15 season. Fans and players said farewell to the old Stade Chaban Delmas in the previous Ligue 1 match, in which Girondins beat Nantes 2-1. The following home match was played at the new stadium and ended in another victory – the home team beat Montpellier 2-1 and placed 6th in the Ligue 1, which meant they would play the 3rd qualifying round of the European League. The French national team played their first match there on 7th September 2015, and it was a friendly match against Serbia (2-1).The Bordeaux stadium will provide venue for four group matches and a quarterfinal of the European Championship. It is assumed that the stadium be packed to its capacity of 42,000 for the EURO matches. However, which teams will play there will only be decided after the draws.